Client: Hotel Vermont. The property is locally developed, owned and operated. Environmental features: The project is seeking LEED Certification by the US Green Building Council. The Hotel Vermont design team turned a difficult site into a series of creative opportunities. The building wraps around one parking garage, bears upon a second lower garage, and spans across two different garage access points. 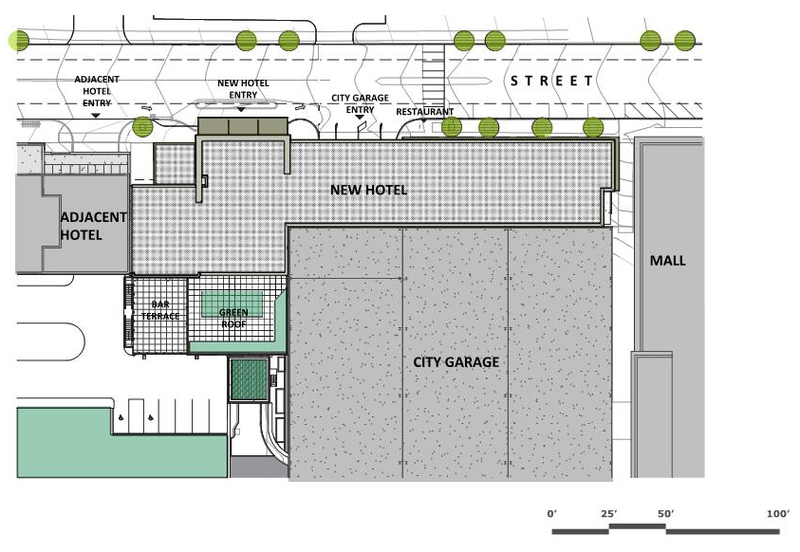 The majority of the building fits into a narrow 45 foot wide slot in front of the City-owned parking garage. The site gains additional depth at the west end where the lobby and other public functions are located.